The Printed Matters platform was inaugurated in Los Angeles in 2010, after which two exhibitions were held in Dallas in 2012, and in Detroit last year. 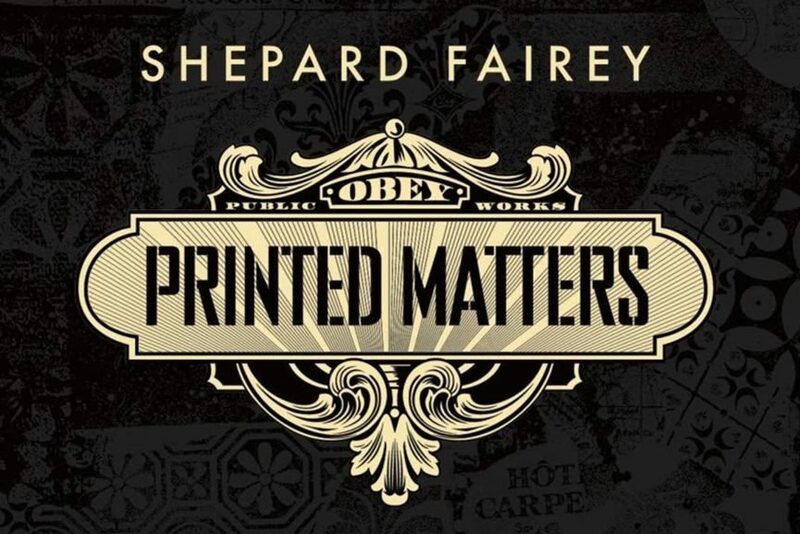 The next Printed Matters will be hosted by Galo Art Gallery in Turin, Italy, and the show will feature some old and some new works by Shepard Fairey. This will, at the same time, be his first time to exhibit in an Italian private gallery officially. The content is mostly directed by the artist himself, and it includes serigraphs on paper, editions on wood, on metal, and fine art collages. The Printed Matters – is both a syntagm and a sentence, as it refers to the matter of printing, and also to significance of the technique. The exhibition aims to highlight the role of printed material in Fairey’s art. 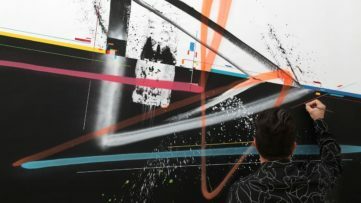 In order to keep his artworks accessible, the artist relies on screen-print on paper, through which he delivers editions of his fine art pieces. 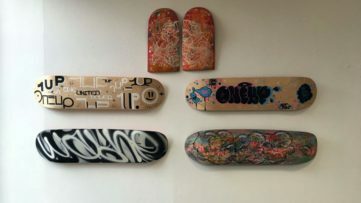 He also uses other printing techniques (on canvas, metal and wood) that keep his line of work diverse. As much as the digital media is becoming pervasive, Fairey believes that nothing can actually replace the tactile experience of an art print. “Printing still matters”, he says. 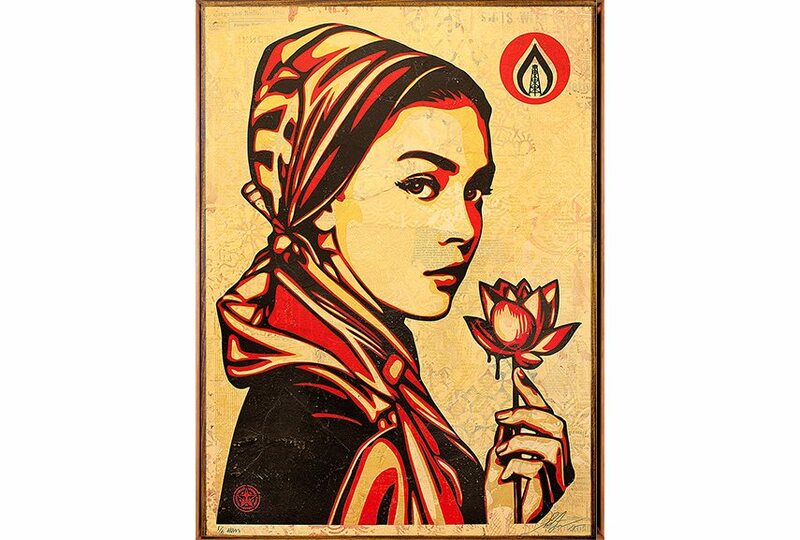 Shepard Fairey is one of the people highly involved in the urban landscape paradigm shift. 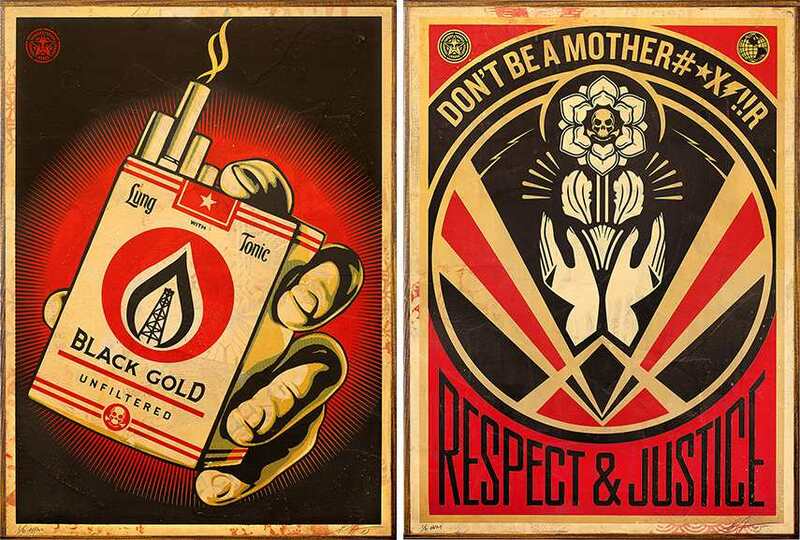 His approach to art at some point relied on principles of Heidegger’s phenomenology, according to which he conducted an experimental OBEY GIANT campaign, which featured imagery and a slogan that gradually became more than just a series of stickers. Fairey explained that the whole experiment had no actual meaning, that it was produced only in order to provoke reaction, and to make people search for a meaning – which it definitely succeeded in. 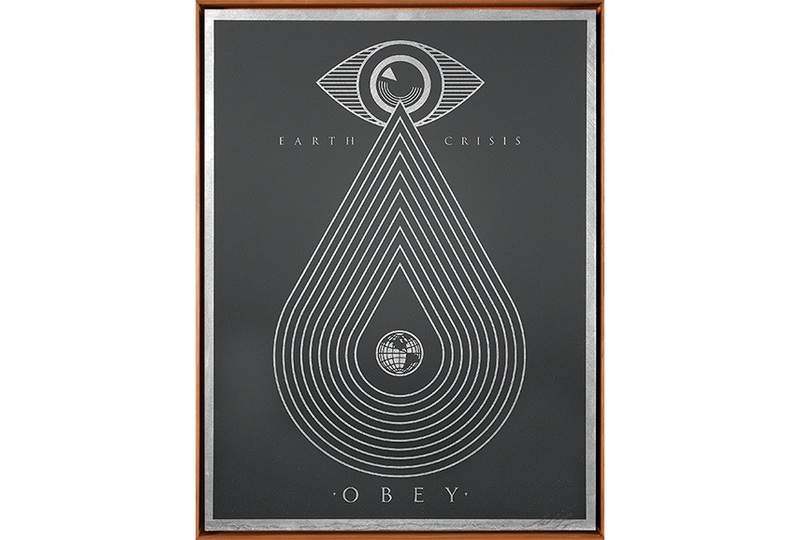 Since the groundbreaking OBEY campaign that featured stencils of the wrestler Andre the Giant, Fairey ‘s work has evolved into an acclaimed body of art. The 25 year long career was celebrated on many occasions, on the street and in the museums as well. His works are part of the permanent collections of MoMA, the Victoria and Albert Museum, the Smithsonian’s National Portrait Gallery, the Boston Institute of Contemporary Art, the San Francisco Museum of Modern Art, and many others. 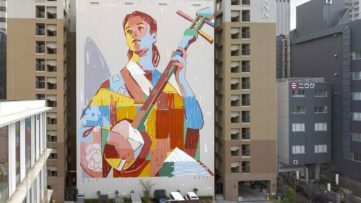 The identity of Galo Gallery perfectly matches Fairey’s artistic profile, as its main focus is placed on the line of contemporary art related to post graffiti and pop art. The Printed Matters will be on view from February 26th through March 23rd at Galo Art Gallery, in Turin. 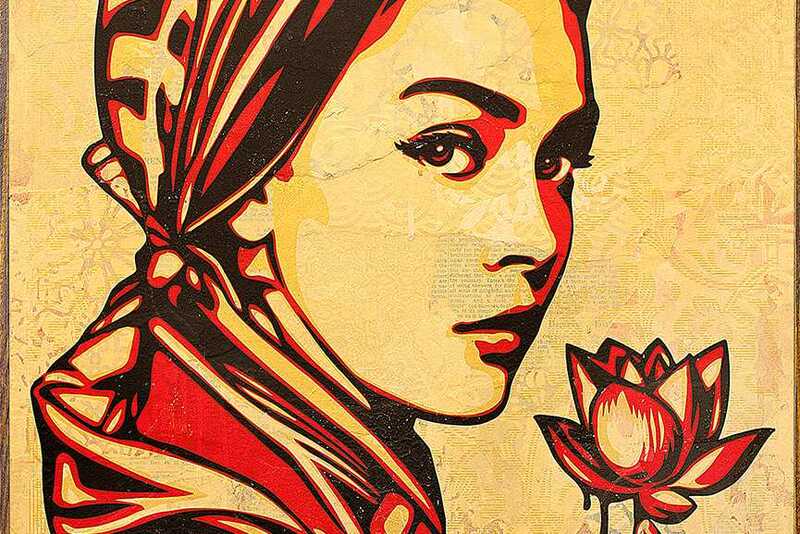 Featured Images: Shepard Fairey – Natural Springs, HPM wood (detail); Shepard Fairey – Printed Matters, Exhibition Poster. All images courtesy of the artist and the gallery.